Condolence: Our condolences to all of the Lorentsen family. I had the great fortune to work under two exceptional principals in my education career and Don was one of them. He had a huge influence on my career. I learned so much from him and he made my admin career much easier because of my time with him. He will be missed by many teachers and kids. Everyone had great respect for Don and his commitment to kids and education. Our thoughts and prayers to all! He will be missed! Condolence: Our thoughts and prayers are with you at this time. Don was such a great guy, as a principal for our kids and a friend to us... Jim will miss him springer fishing next year. Condolence: Bob and I are saddened by the passing of Don and share your loss. Bob and Don had such good times fishing together. 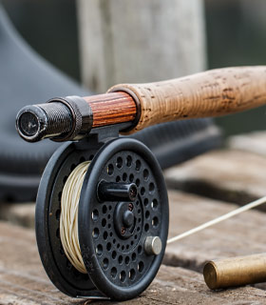 Love the picture on this web site of the fisherman. Very appropriate and beautiful.